Flip a coin. 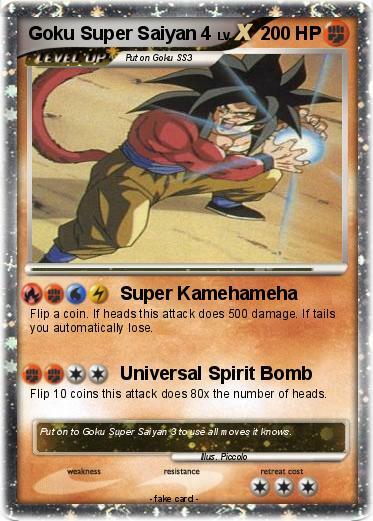 If heads this attack does 500 damage. If tails you automatically lose. Flip 10 coins this attack does 80x the number of heads. Comments : Put on to Goku Super Saiyan 3 to use all moves it knows.